Orbix metal-to-wood screws are a renowned favourite by electricians. Having been designed by electricians for electricians, rest assured our innovative fasteners will enhance the speed and cost efficiency of any type of job. 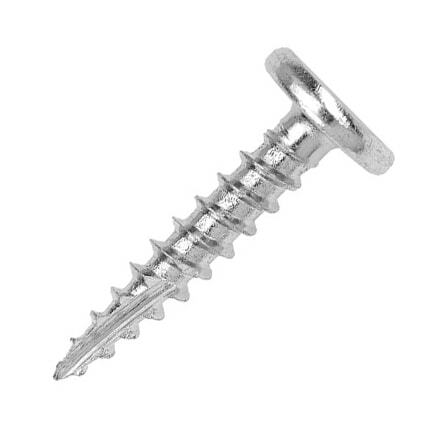 Orbix stock a variety of screws that can self-tap into wood through PVC and very thin metal. Browse our range of metal-to-wood screws below. The traditional method of securing electrical fixings can be a time-consuming process. Whilst we don’t knock this method, Orbix metal-to-wood fasteners revolutionise the way electrician’s complete jobs. Our aim is to make electrical fixings save time and cost efficiency, whilst also withstand the test of time – guaranteed for the life of the project. An Orbix metal-to-wood screw not only requires fewer tools, little to no preparation work is needed either and. 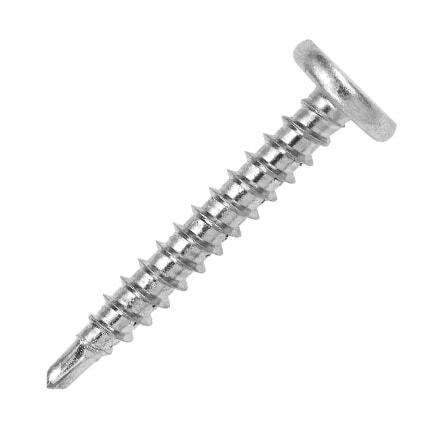 The screws have been specifically designed to increase driveability and installation time. What a spark of genius! General Purpose Self-Drilling Screws: these screws are ideal for general purpose electrical jobs including fixing electrical accessories, sockets and trunking. No preparation is required; drill, fix and tighten all in one go! Woodscrews: featuring a twin thread for fast installation, extra sharp point for optimum driveability and low profile head make these screws ideal for fixing electrical accessories, socket boxes, trunking, cable tray and support brackets to timber or masonry. Multi-Woodscrews – Self-Tapping: suitable for metal-to-wood and wood-to-wood applications. Complete jobs in record time with a self-drilling fastener, which also cuts out the need for fiddly washers. Each of our metal-to-wood fasteners have been manufactured using premium quality steel to increase the durability and reliability of electrical fixings. What’s more, the extra sharp point guarantees optimum driveability, and the low profile head design allows for a snag-free finish ensuring each job is completed in record time with precision. Whether it be fixing PVC or sheet metal to wood and brickwork, our Orbix metal-to-wood fasteners are suitable for a range of applications. Our screws are self-tapping mean no pre-drilling is required; simply drill and fix in one, with no more than your cordless drill, free drive tool and Orbix screws, you can forget about fiddly washers and make light work out of each of your projects! What’s more, the twin thread feature in all of our screw ensures for fast installation; fewer tools, fewer steps but no comprise on quality, precision and efficiency. We are proud to be the UK’s original self-drilling screw supplier. Our journey began in 1998 when we distributed FastenMaster self-drilling fasteners, an American brand. Having worked with FastenMaster, we identified a gap in the market for a British made range of first-class corrosion-resistant screws made for UK timber sizes. This is when Carpenters Mate was born, and has now grown to be one of the trade’s favourite self-drilling wood screws. What’s more, we are also the names behind the Orbix brand. We developed these screws with electricians in mind, and worked closely with experienced electricians to create a revolutionary screw. The self-tapping electrical screw is proven to make electrical installations easier, cleaner and quicker – guaranteed to last the lifetime of the project and achieve a snag-free seamless finish. In 2013, we become the exclusive importer for the CAMO hidden decking fastening system. This successful brand is a firm favourite in the United States, so we thought why wouldn’t the UK market love it just as much? The CAMO hidden decking system is designed to make quick work of decking projects, offering a seamless finish – no screw head or screw holes to be seen. The great thing about purchasing an Orbix screw is the free drive-tool that is included in each pack. Forget about purchasing a new drive-tool or scouring the stores for the right piece – we go one step further to ensure your project is set to be efficient and profitable from the get go! Are you looking for metal-to-wood screws? You can find your local distributor to get your hands on a pack of Orbix screws. What’s more, we love increasing our distribution network, so if you’re keen to supply Orbix screws, read how you can become a distributor.